Ladies & Gentlemen.....start your engines! It's time for the 2018 Dragstrip Dash Express, benefitting the B&O Trail. 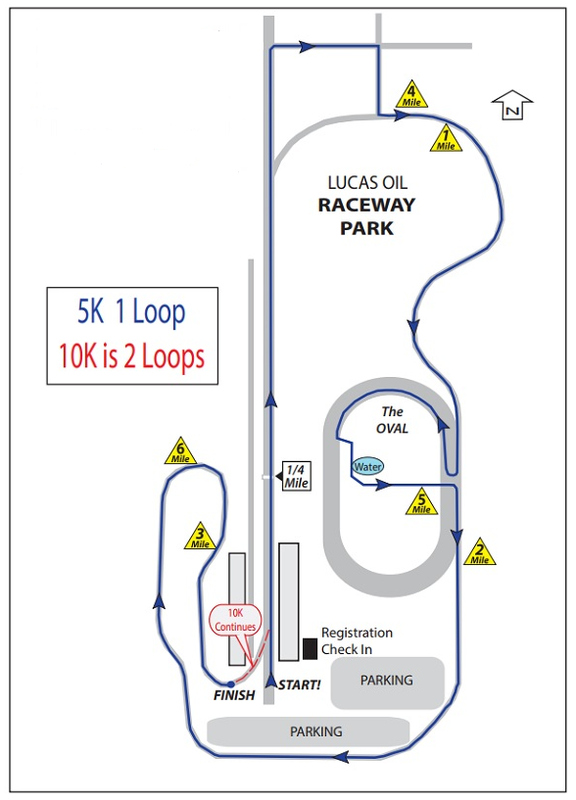 Join us for the competitive 5K and 10K runs on Saturday, October 27th on the iconic racetracks at Lucas Oil Raceway! Put the pedal to the metal and race on the world-famous dragstrip, plus the oval and road courses for a truly unique running experience under the lights at Lucas Oil Raceway. Be sure to bring the kids as this family friendly one-of-a-kind event includes a Kids Mini-Dash sprint on the dragstrip. Each person will receive a t-shirt (t-shirts are unisex sizes), race bib, timing tag and refreshments. Shirts on race day are limited and shirt size is not guaranteed. Packet pick-up and race day registration will begin at 4:30PM. The 10K and 5K will start at 6:30PM. The Mini Dash will start at 6:00PM. The Awards ceremony will start at 7:45PM. The award ceremony will take place at 7:45PM. The top 3 overall men and women will be awarded. The top 3 men and women in each age group will be awarded. A special award will be presented to the FASTEST person (male and female) that makes it to the Quarter Mile mark - how fast can you run a quarter mile? When this page loaded, the official time was 7:57:13 AM EDT.